Lena Horne, Bill “Bojangles” Robinson, Cab Calloway, and Fats Waller are only some of the acts featured in this showcase of the great African-American entertainers of the early 1900s, during an era when these performers rarely appeared in lead roles in mainstream Hollywood productions. 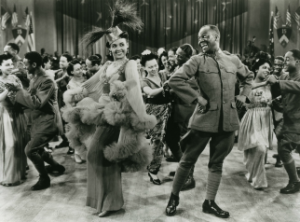 The relationship between a World War I vet who aspires to be a dancer (Robinson) and a popular singer (Horne) grounds the spectacle in story. Join us following the film for a discussion with Jenny Lumet.